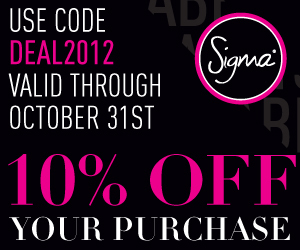 The latest 10% off discount code to share with your followers is DEAL2012. 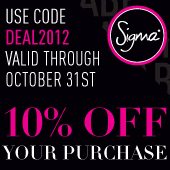 This code will be valid for 10% off your entire purchase through October 31. Sharing discount codes is a great way to help secure a sale through your affiliate link. Read more about the importance of coupon marketing here! Where have you been sharing the 10% off discount codes? New banner. I'm going to put it on the sidebar.